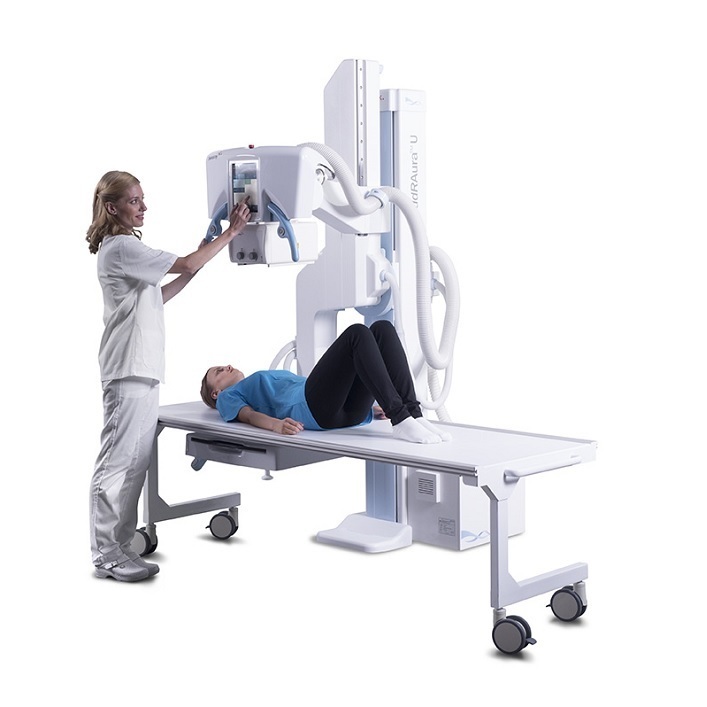 The ddRAura™ U is designed to meet the demands of busy Radiology Departments, Orthopedic Practices or Imaging Centers. 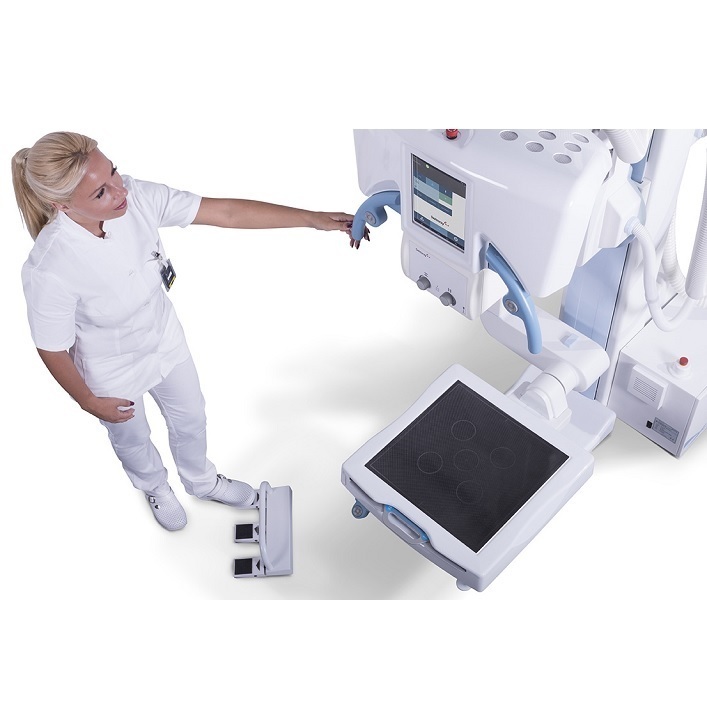 The completely motorized ddRAura™ U is quickly and effortlessly positioned with Swissray’s APS – Automatic positioning system via handheld remote control, optional wireless foot pedals or ddRAura™ workstation control. 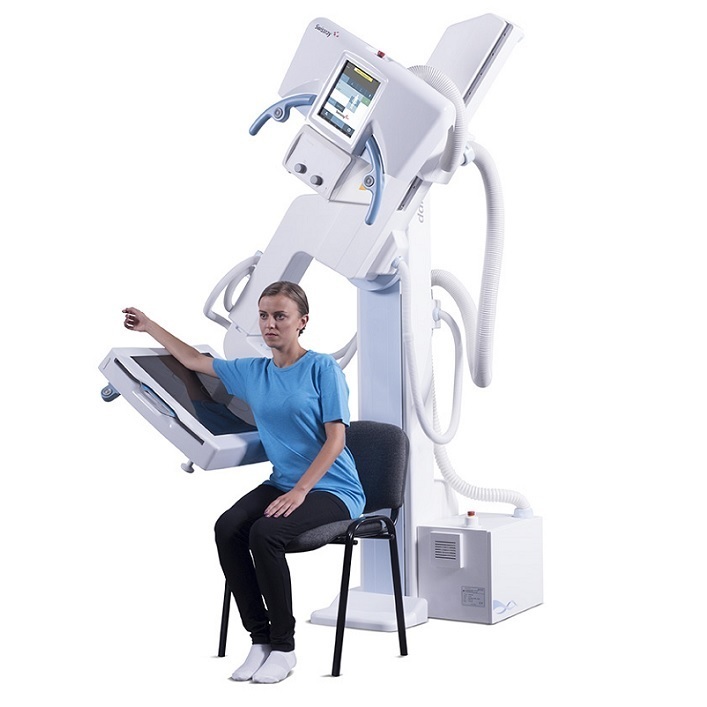 The ddRAura’s™ tube mounted touchscreen provides control generator, collimator, system position, patient procedure list selection and image preview at the patients side. 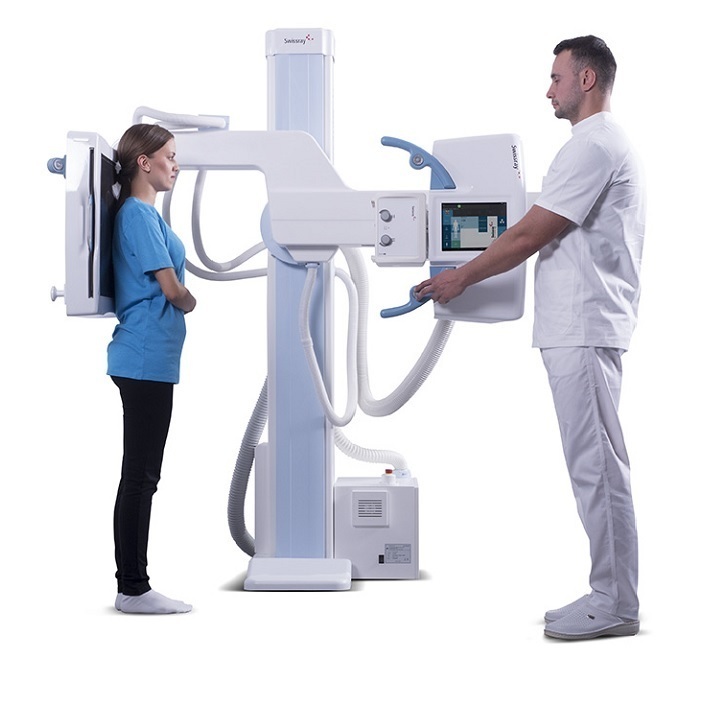 The compact design fits easily in small rooms and requires no additional ceiling support. 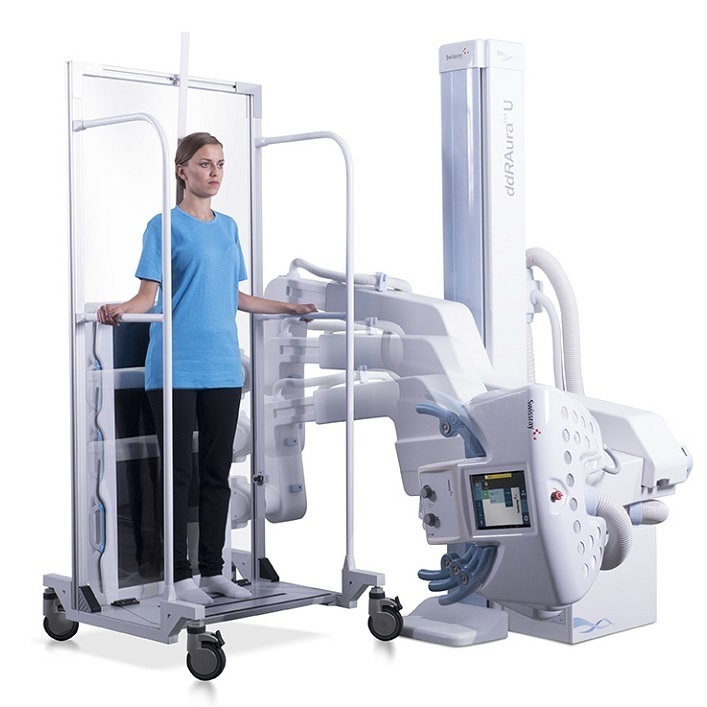 The ddRAura™ U can be positioned to image wheelchair or stretcher patients when paired with optional wireless detectors. 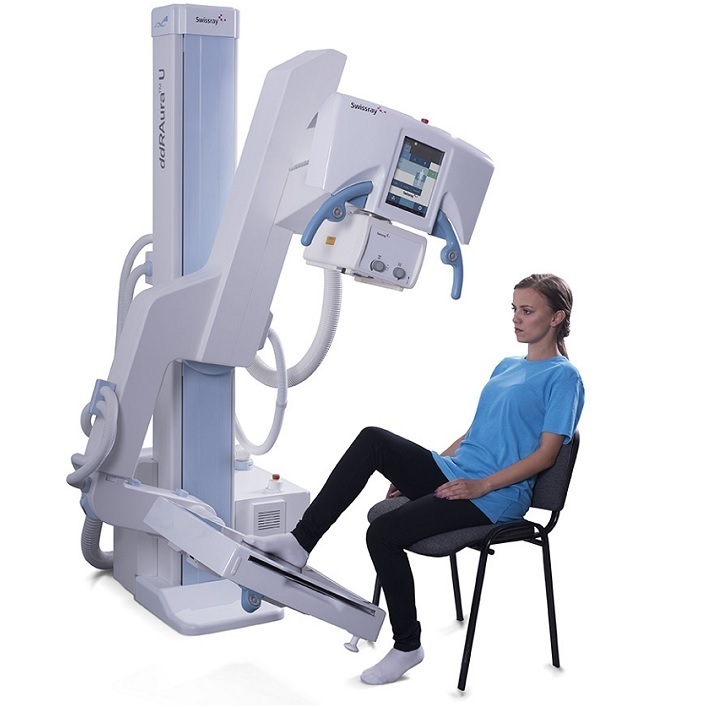 Combine multiple images with the ddRAura™ U’s automated single focus stitching option.